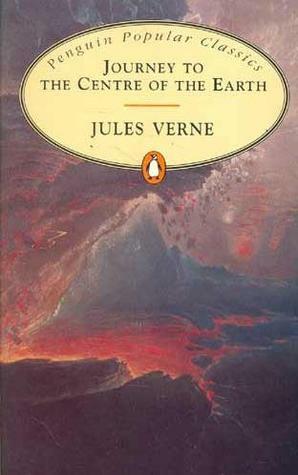 Journey to the Centre of the Earth is Jules Verne’s third book, first published in 1864. Axel lives with his uncle, professor Lindenbrock, in Germany. Professor Lindenbrock discovers a document from the 16th century, which describes the place of an entrance to the centre of the earth. Set on being the first to venture inside the earth’s crust, Axel and his uncle travel to Iceland and enter the cave system of a volcano. Heavily inspired by fiction from the Romantic period, Journey to the Centre of the Earth is deliciously dramatic. I find it fascinating how a male main character like Axel is constantly fainting when things get too scary. Try to imagine a male character like that in contemporary fiction. Hard, no? Now, we would only ascribe properties like this to a female. Axel’s fiancée, Grauben, is actually the rational, brave one. Unfortunately it’s not acceptable in the nineteenth century for a woman to travel with men who aren’t directly related to her without a chaperone, so Grauben doesn’t join the expedition. Jules Verne is often seen as the father of science-fiction. He blended thrilling stories of wonder and danger with actual scientific theories as they had been posited in his time. Now, we know you can’t actually just walk into a volcano, and find underground caves that span under the entirety of Europe. In Verne’s time, this was plausible, which explains why his tales of natural wonders were so popular. For the modern reader it can come as a culture shock to read a book like Journey. True to its title, the actual journey is important, not the end point. Finding the document, travelling to Iceland, finding a guide; all of these elements are skipped over in contemporary fiction, but these preparations have their own importance in this book. Some readers feel like they have read a hundred pages before “something happens”, which is all a matter of perspective. Nineteenth century readers are more concerned with the how and the why and the what, and less with the internal ramifications of the main character. Less emotions, more descriptions. Some readers might find this boring, but I thought it was refreshing. Journey to the Centre of the Earth has an ending worthy of an Indiana Jones movie. The book might not be as thrilling to us as it might have been a hundred years ago, but it’s still highly entertaining.